Info Jon Breen was the Chief Editorial Writer of the Nashua Telegraph beginning in 1976 and extending into the 1980s. He is most remembered today for moderating the Nashua presidential debate in which he attempted to interrupt Ronald Reagan, who wanted to make an announcement at the beginning of the debate. Breen was born c. 1936 in New Hampshire. He served in the Marines prior to becoming a journalist. In 1966, he was hired as a reporter for Foster's Daily Democrat in Dover. Breen rose in position to become state news editor. From 1969 to 1974, Breen was also a radio news announcer in New Hampshire. In 1974, Breen left the journalism field and began two years of work on the staff of Republican politicians. He first worked on the staff of US Rep. Louis C. Wyman. Breen worked as Wyman's media assistant in his historic candidacy for the US Senate, which he won by a margin of two votes (though the US Senate declared the seat vacant). Breen worked as Wyman's media assistant in the 1975 special election, which Wyman lost by a wide margin. After the special election, Pres. 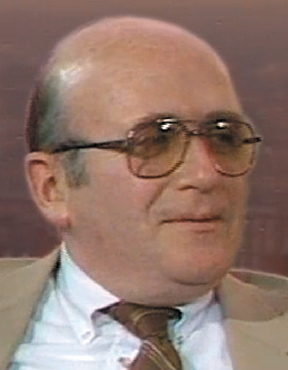 Ford's campaign hired Breen to be its media coordinator for the 1976 primaries. After coordinating Ford's campaign efforts in several primary states, Breen left to work for US Rep. James C. Cleveland (R- NH). Breen only worked in Cleveland's office for a few months before leaving to become Chief Editorial Writer for the Nashua Telegraph. In 1980, Breen moderated the 3d Republican presidential primary debate in which Ronald Reagan reinvigorated his campaign.